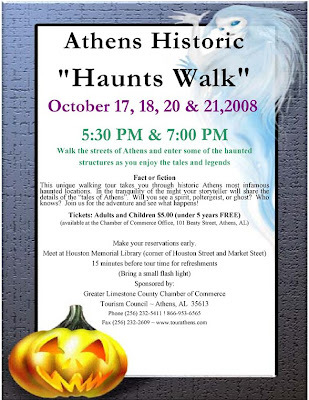 Spirit of Athens: Haunts Walks! Click to enlarge the flyer and make plans to hear some scary ghost stories! This is wonderful walk that is sure to thrill all who go! Wonderful time! They are all sold out already--be sure to get tickets early next year!